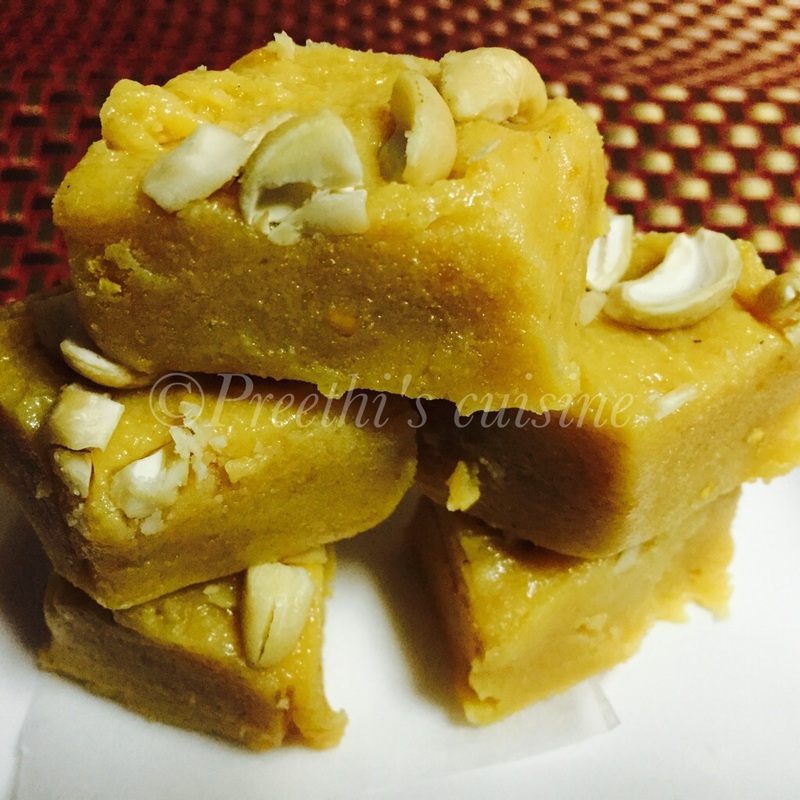 Halwa is a traditional Indian sweet. 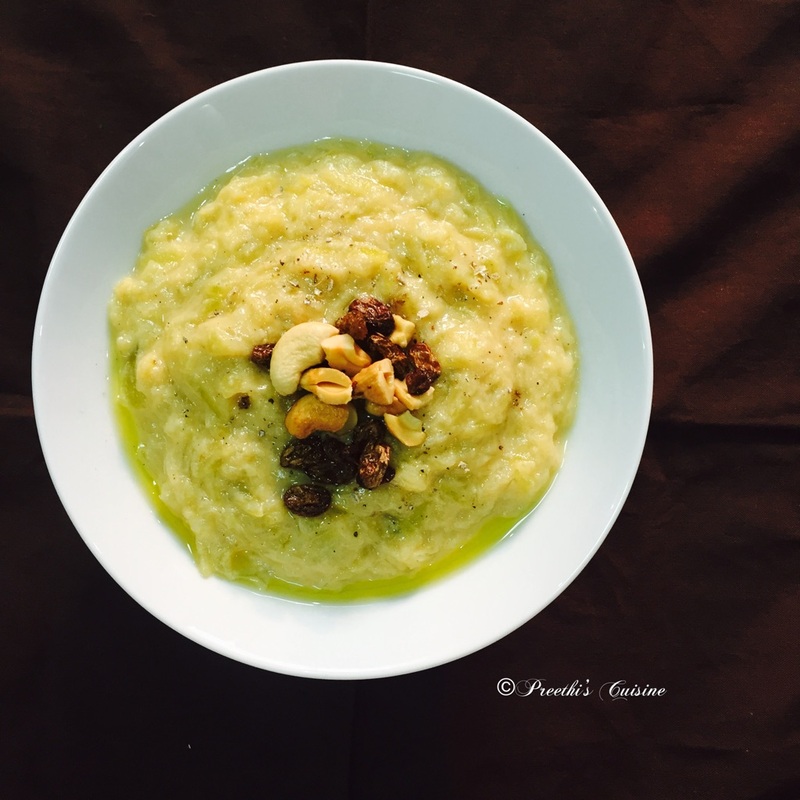 Carrot and Bottle Gourd Halwa are the most easiest and popular recipes.Doodhi is also known as Lauki in hindi. 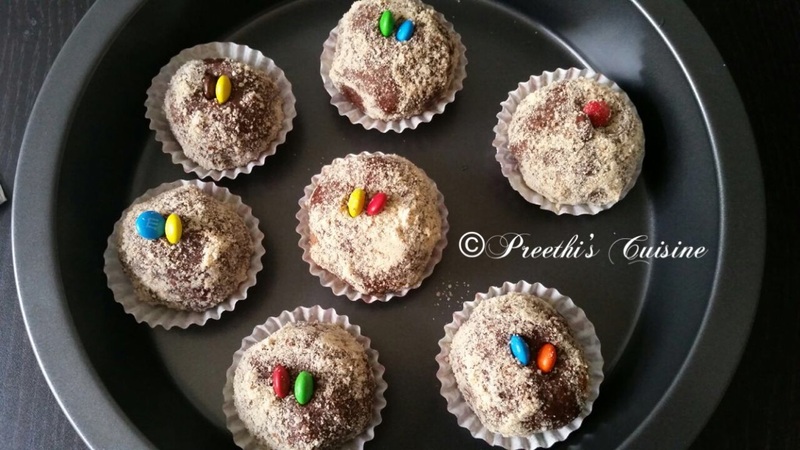 It is healthy and yummy treat(not for calorie conscious people). 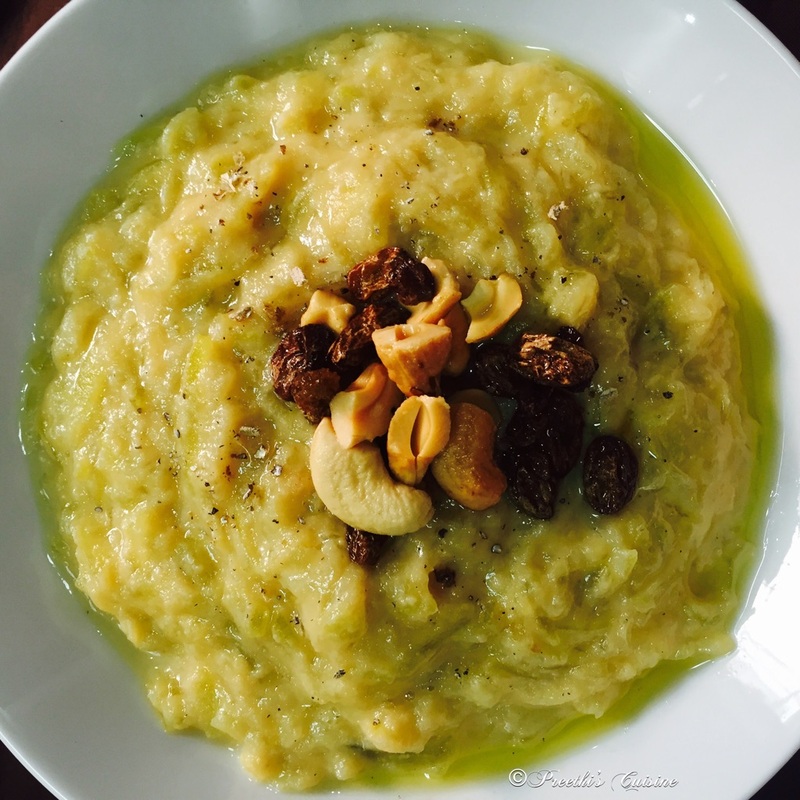 I love Doodhi /Bottle gourd Halwa and make it often as per my own variation. I like to have it chilled. My kids and hubby loved it. Take a thick bottomed Vessel. Add Ghee to it. Add the grated Doodhi /Bottle gourd and saute for 2 mins . Add Milk and keep stirring occasionally to ensure it does not get burnt. Once the quantity of milk reduces to ¾ th add milk powder and sugar and stir well to ensure there are no lumps. Keep stirring till the milk coagulates to form thick mass. Sprinkle the cardamom powder and mix well. Switch off the stove. Heat a tsp of ghee in a wok. Roast cashews and raisins. 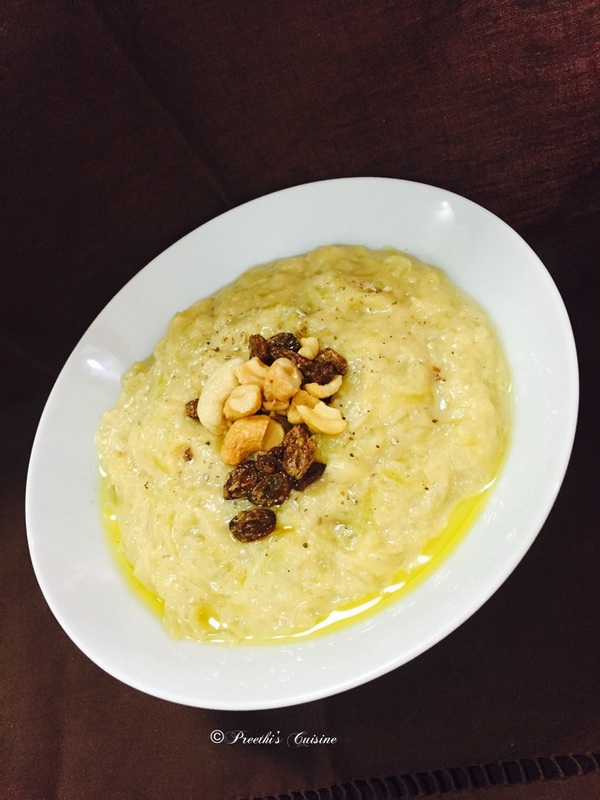 Pour the Ghee along with roasted cashews and raisins on the Halwa. Allow it to cool. Serve at room temperature or serve chilled as per your choice. Janmashtami, the birthday of Lord Krishna is celebrated with great devotion and enthusiasm in India . According to the Hindu calendar this religious festival is celebrated on the Ashtami of Krishna Paksh .Sri Krishna is considered as the one of the most powerful human incarnations of the Lord Vishnu. He was born around 5,200 years ago in Mathura. The sole objective of Sri Krishna’s birth was to free the Earth from the evilness of demons. He played an important role in Mahabharata and propagated the theory of bhakti and good karma which are narrated in depth in the Bhagwat Geeta. 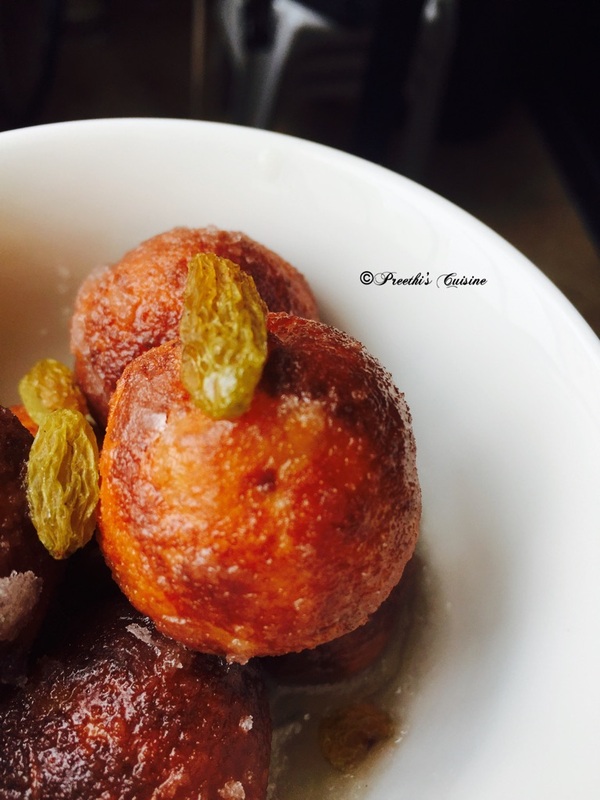 To celebrate Janamashtami, I made Bread and Milk Powder Gulab Jamun. This is one of the easiest recipes and can be made with the available ingredients in your pantry. Remove the sides of the bread. Tear the bread and blend in Mixie till you get fine powder. till you get a sticky lump. 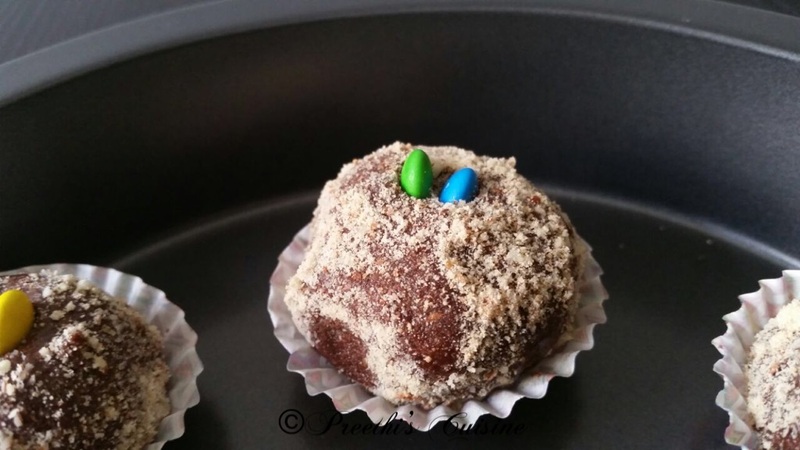 Pinch 1 inch of the dough and shape it into round balls. Deep fry the balls and place it on a kitchen towel so that the excess oil is absorbed. untill the sugar is fully dissolved and the mixture is clear. Add cardamom powder.You should get the thread consistency. The longer you boil the thicker the solution will become. 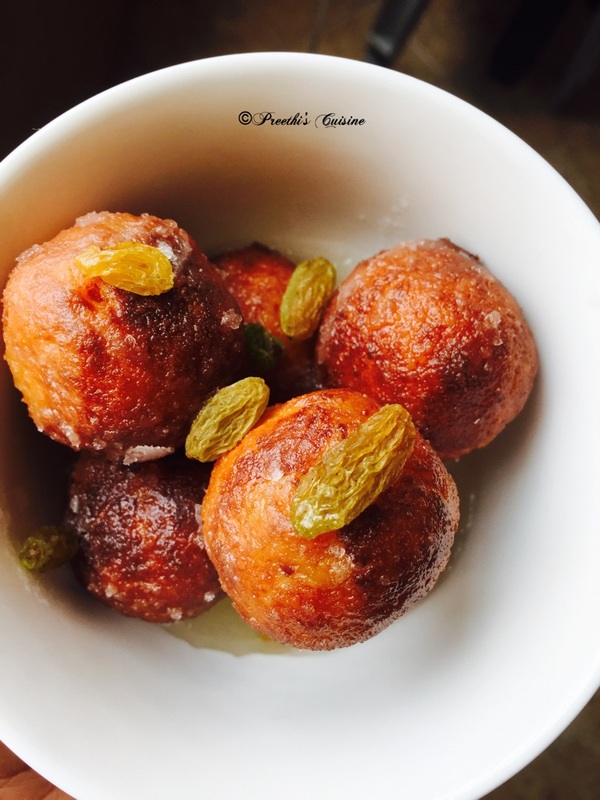 Drop the deep fried balls in the sugar syrup leave it for sometime . Garnish with Raisins and serve. Today on the occasion of Raksha Badhan, I dedicate this post to my Brother who is miles away.Wishing him the very best in life always!! Raksha Bandhan in Sanskrit literally means “the tie or knot of protection. It is an ancient Hindu festival that ritually celebrates the love and duty between brothers and their sisters. The sister ties Rakhi on the brother’s wrist and then prays to express her love and her wish for his wellbeing .In return the brother takes a pledge to protect and take care of his sister under all circumstances. 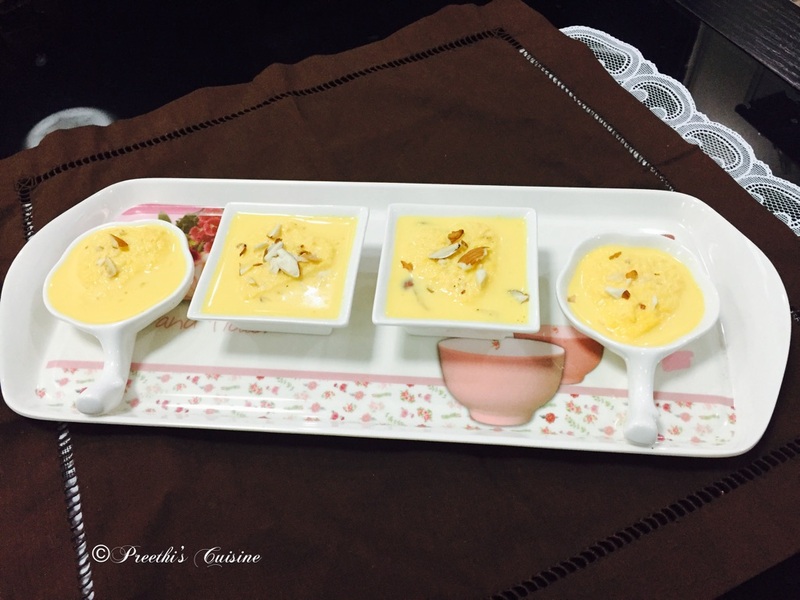 To celebrate this occasion I made easy Bread Rasmalai shots. Boil the milk in a thick bottom pan. Once it starts boiling add condensed milk and keep stirring till the milk starts getting thicker . 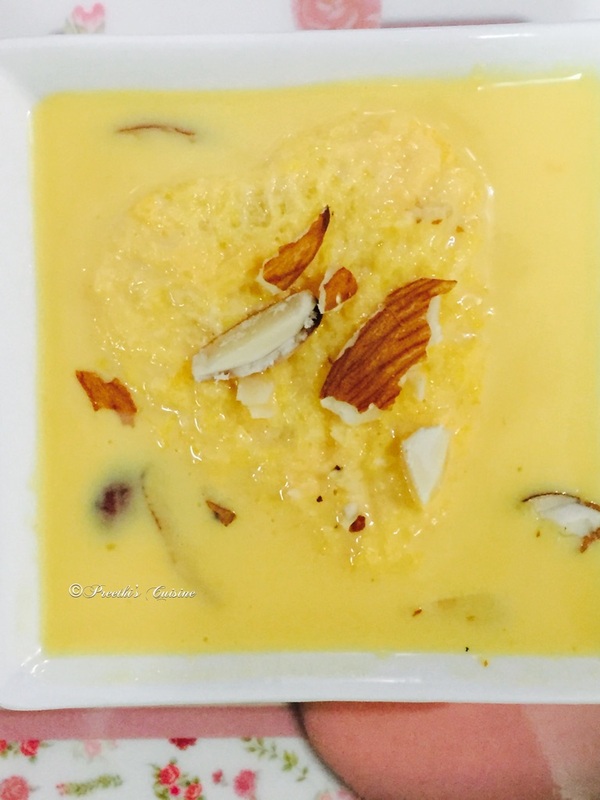 Add cardamom powder, Saffron strands and keep stirring till the quantity of the milk reduces to 3/4th.Keep scraping the sides as the milk starts getting thicker and sticks to the sides of the pan. Switch off the flame and allow it to cool. Take the bread slice ,remove the sides and using a cookie cutter cut each slice into desired shape. Add the bread slices and let it soak in the Ras . Refrigerate for 1 to 2 hours. Garnish with Chopped almonds and serve chilled. 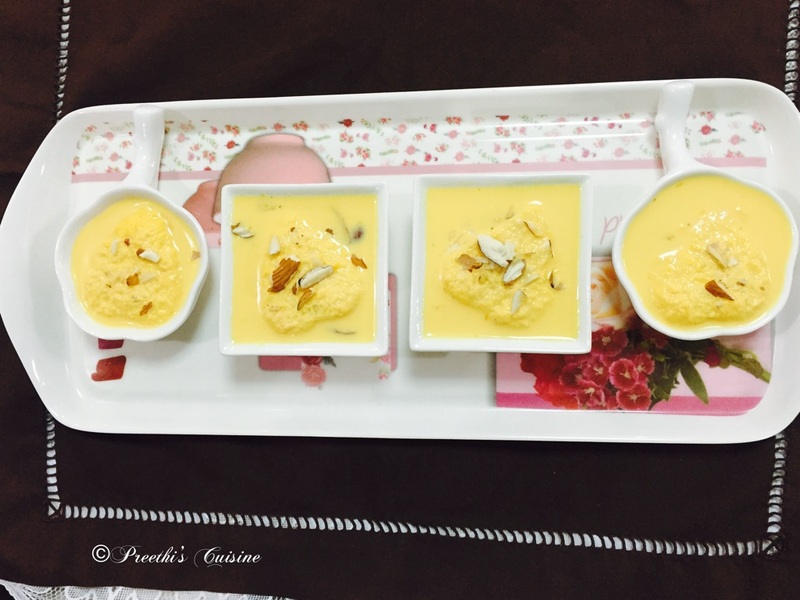 These Bread Rasmalai shots will be a guest pleaser for sure. Aug 27th every year is a memorable day for me. That was the day I got married and stepped into next phase in life. It has been a memorable journey till date and hope to have many more memorable moments in future with my family.To celebrate this occasion I made Mango Burfi which just melts in your mouth. Grease a plate and keep aside. In a heavy bottomed pan add a spoon of Ghee . Add Besan/Gram Flour and roast on medium flame for 3-4 mins. Be careful not to over roast. Switch off the flame. Add all the other ingredients in the pan ,mix well and ensure there are no lumps. Keep it on medium flame and keep stirring the mixture continuously . As you continue stirring , the mixture starts getting thicker , darker and bubbles start forming .Continue the stirring process so that that mixture doesn’t stick to the bottom and get burned .Once the mixture starts leaving the sides of the pan and becomes a single mass ,then its done. You can see that it has a porus texture. . Transfer to the greased Plate . Tap the tray and using a spatula spread it evenly ,garnish with roasted cashews and smoothen the surface. When still warm, cut it into desired shape. Pongal is a popular rice dish in Tamil Cuisine. In Tamil, the word pong or pongu means to ” boil over” or “spill over”. 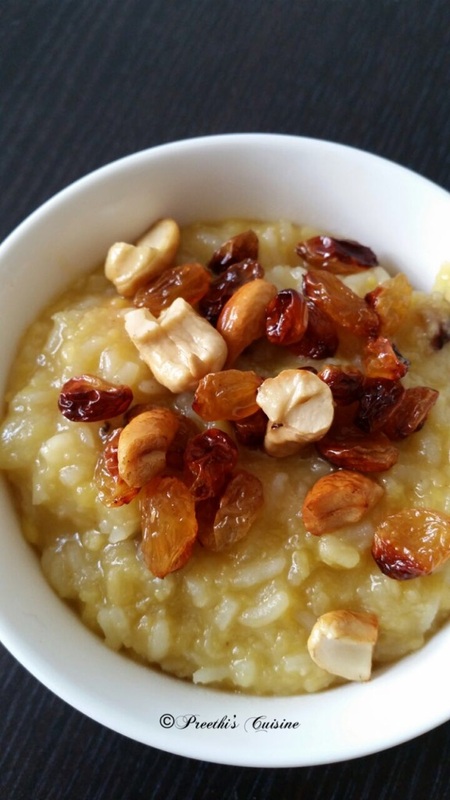 There are two varieties of pongal, Sakkarai Pongal which is a sweet, and Ven Pongal which is savoury. The rice boiled with milk and jaggery during the Pongal festival is also called pongal – this is made specially in earthenware pots with a wood fire with the first harvest and offered to Sun God. My kids love Sweet Pongal . 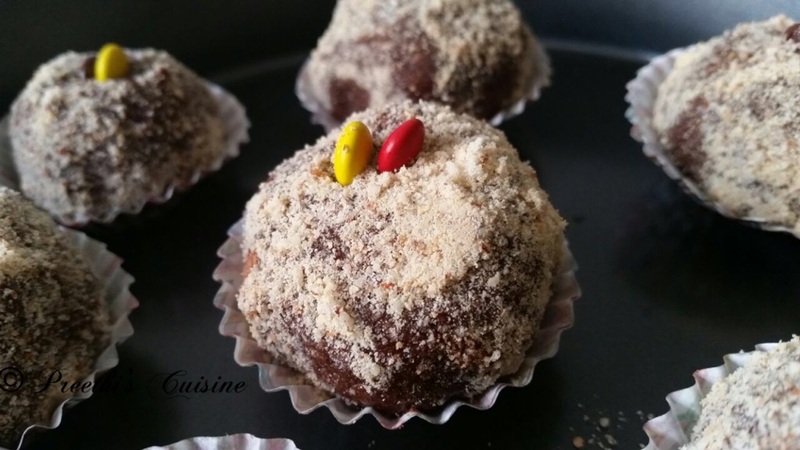 I usually make it whenever they want to have Sweet Pongal. Roast cashews and raisins in a tsp of ghee and keep it aside. Boil rice and dal together in a pressure cooker. Grate jaggery. In a wok add the jaggery and a some water and keep stirring till the jaggery dissolves.Once done stain the syrup. In another wok add 3 tsp ghee and milk.After 5 mins add the boiled dal and rice and a little grated coconut.Add the syrup and mix well.Once it starts boiling switch off the stove and garnish with cashews and raisins.Serve hot. 2015 June 20 is an important day for me. My blog’s facebook page crossed 250 likes. Untill this April ,I never thought even in my wildest dreams that I would start my Blog.Being a working professional , I wasn’t sure if I could do justice by starting my own blog.Well ,with the support of family and friends I started my blog.Crossing 250 likes is a milestone for me and yes I know that I have a long way to go. With all your support,I am very confident that I can achieve more. 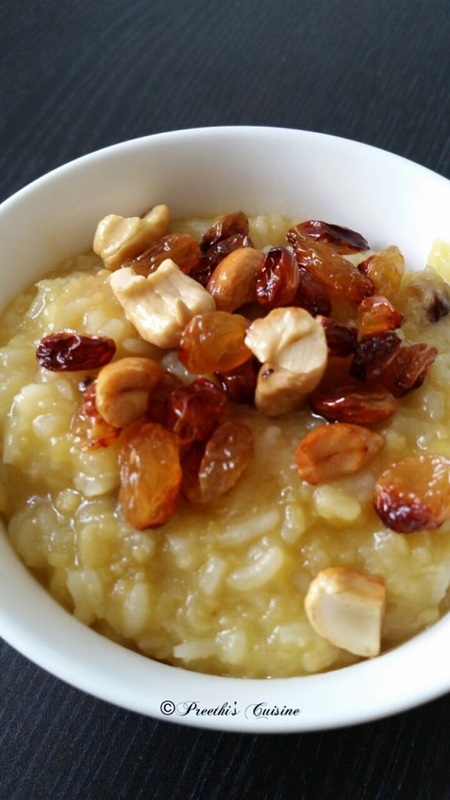 So to celebrate this milestone in this holy month of Ramadan ,I made Rice Pudding/Kheer.This sweet dish is an integral part of many festivities in India. Soak Almonds for an hour and grind to make a fine paste.In case you don’t have time to soak ,grind almonds into fine powder. Coarsely grind cooked rice and keep it aside. Roast raisins in ghee and keep aside. Boil milk.Once the milk boils add coarsely gound cooked rice,Almond paste or powder and keep stirring for 5 mins.Then add sugar and chopped dates.Stir for 5 more mins and switch off the flame. Add cardamom powder and mix well. 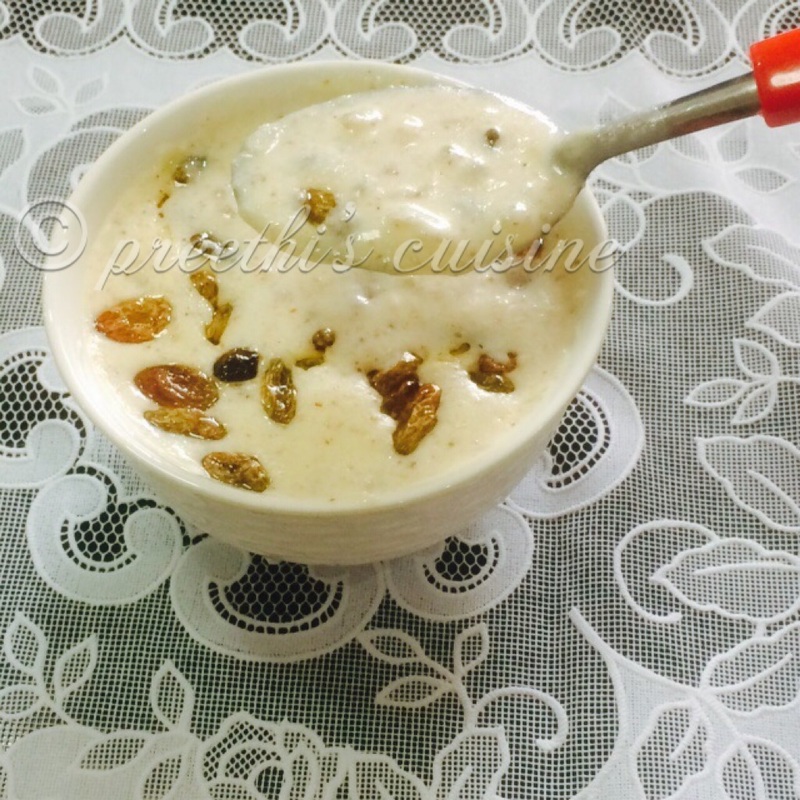 Garnish with Roasted Raisins and serve hot or let it cool and then serve. 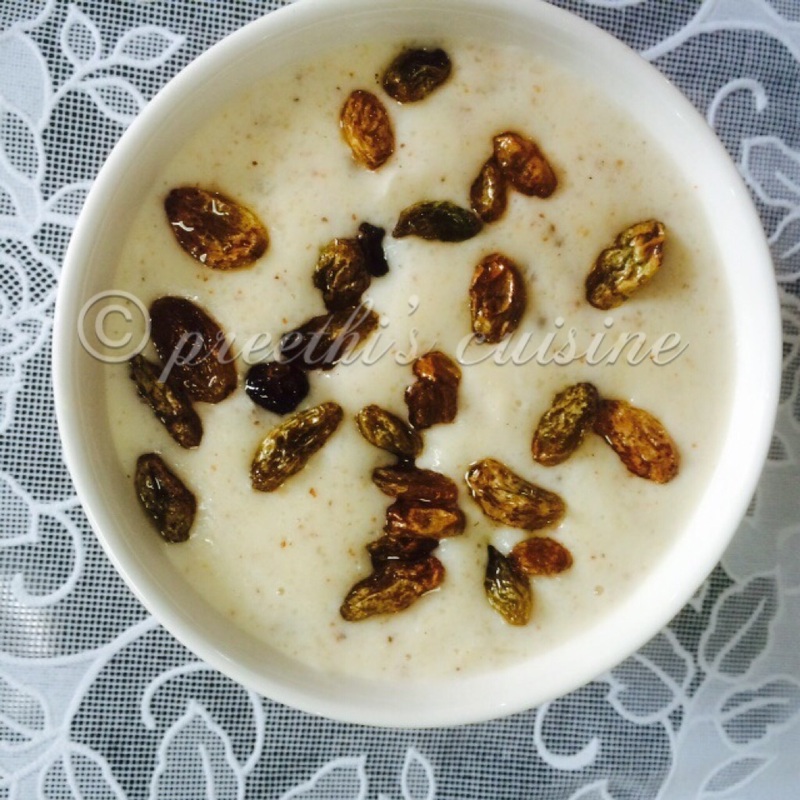 Enjoy this Yummy and healthy Rice Pudding/Kheer.